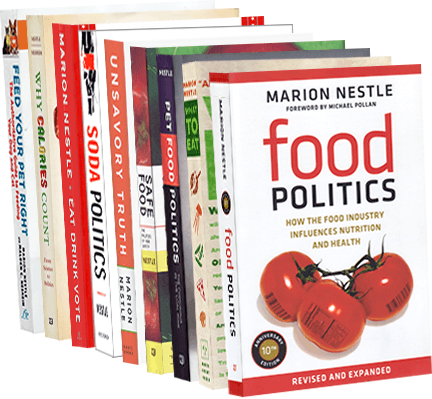 Food Politics by Marion Nestle » Buyers beware: supplements are not what they seem. Again. Buyers beware: supplements are not what they seem. Again. I still quaintly read the paper copy of the New York Times so I know that the left column of yesterday’s front page—judged by the editors as the second most important story of the day—was devoted to yet another exposé of supplement fraud. The New York State attorney general did some sophisticated testing. His report concludes that major supplement retailers—GNC, Target, Walgreens and Walmart—are selling herbal supplements that do not contain what the labels say they contain or contain unlabeled ingredients that could be allergenic. A popular store brand of ginseng pills at Walgreens, promoted for “physical endurance and vitality”…contained only powdered garlic and rice. At Walmart…ginkgo biloba, a Chinese plant promoted as a memory enhancer, contained little more than powdered radish, houseplants and wheat — despite a claim on the label that the product was wheat- and gluten-free. Three out of six herbal products at Target — ginkgo biloba, St. John’s wort and valerian root, a sleep aid — tested negative for the herbs on their labels. But they did contain powdered rice, beans, peas and wild carrots. And at GNC…it found pills with unlisted ingredients used as fillers, like powdered legumes, the class of plants that includes peanuts and soybeans, a hazard for people with allergies. I’ve been writing about this kind of thing for years, but two aspects of this story are news. First, the state is doing what the FDA ought to be doing if its hands weren’t tied by DSHEA, the Dietary Supplement Health and Education Act of 1994. That act essentially deregulated dietary supplements. Second, these are not some fly-by-night supplement sellers. They are major retailers. The supplement industry’s argument that only a few unscrupulous small supplement makers are cheating on ingredients doesn’t work in this case. Why don’t people stop taking supplements when they hear things like this? The major proven benefits of supplements are their placebo effects. The actual ingredients make no difference. The obvious conclusion is that if you must buy supplements, buy the cheapest ones. But that doesn’t work either because more expensive supplements produce stronger placebo effects. Placebo effects are great things, and I’m for them. But caveat emptor. Obama’s budget calls for a single food safety agency! Food politics in action: Potatoes!